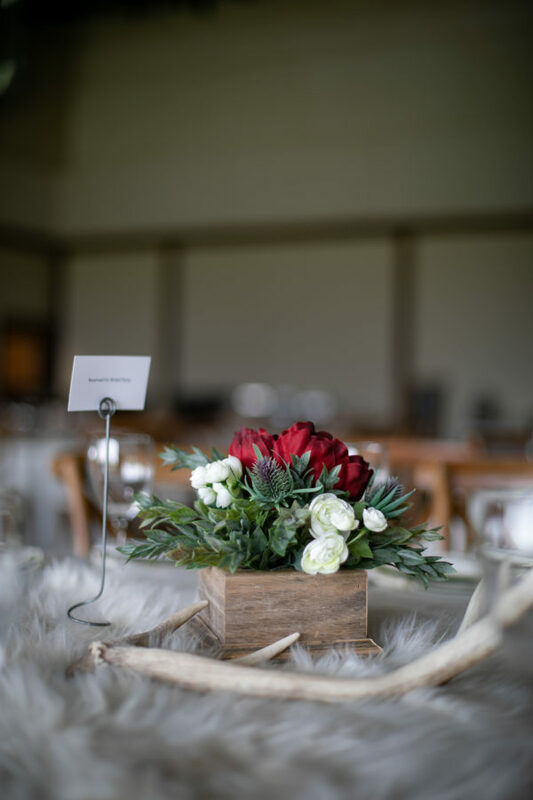 Casey and Katie’s weekend wedding celebration at Tatanka was one for the books! Time spent together with their busy scheduled is extremely valuable to them. 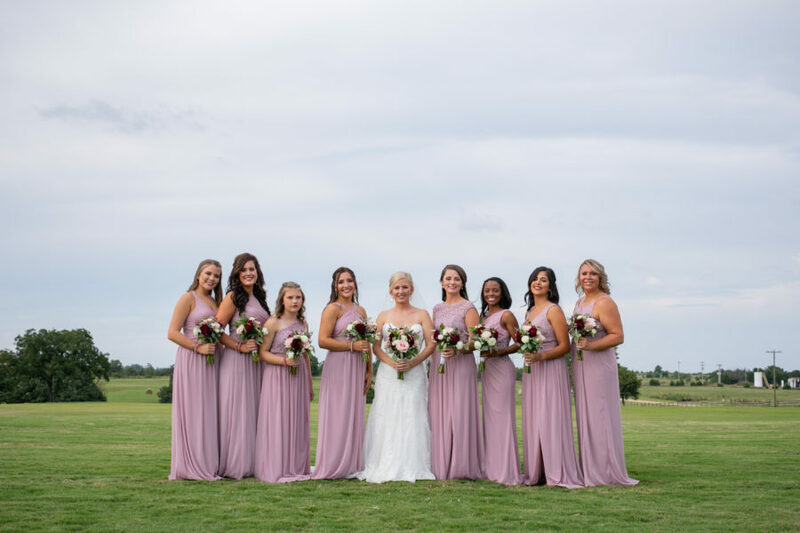 They new after coming and touring Tatanka, they wanted a relaxed, fun filled weekend wedding they’d never forget! Surrounded by 200 of their closest friends and family, this wedding was nothing short of stunning. 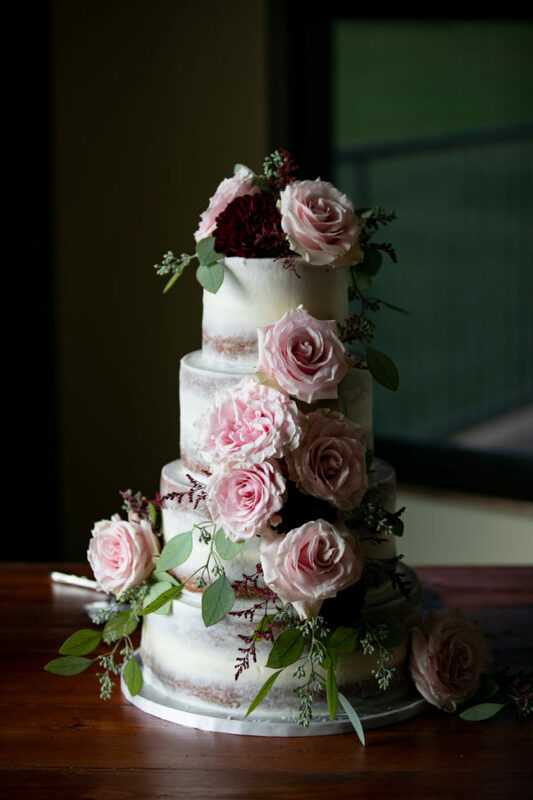 The outdoor ceremony was adorned with gorgeous blooms crafted by Leslie Echalk. 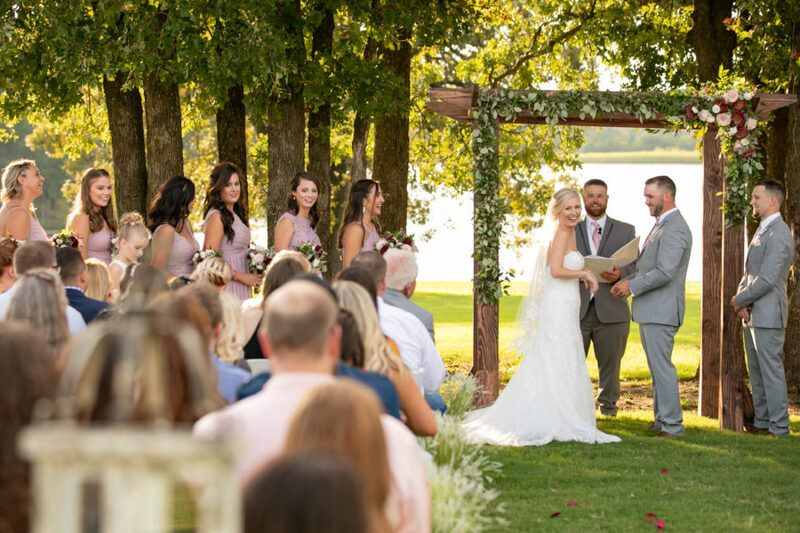 Maroon colored roses and organic greenery fell over the wooden ceremony arch to add the to the picture perfect sunset during the ceremony. 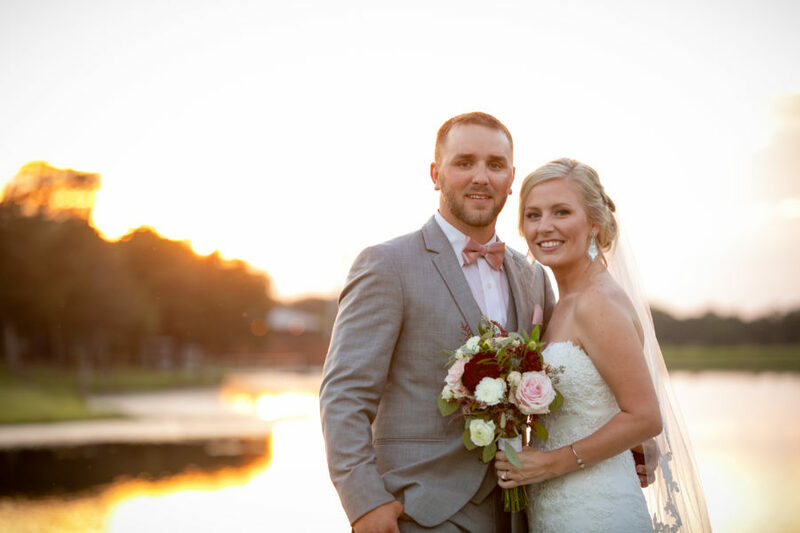 Epic Productions captured the whole day flawlessly making sure to get those special moments throughout the ceremony and reception. 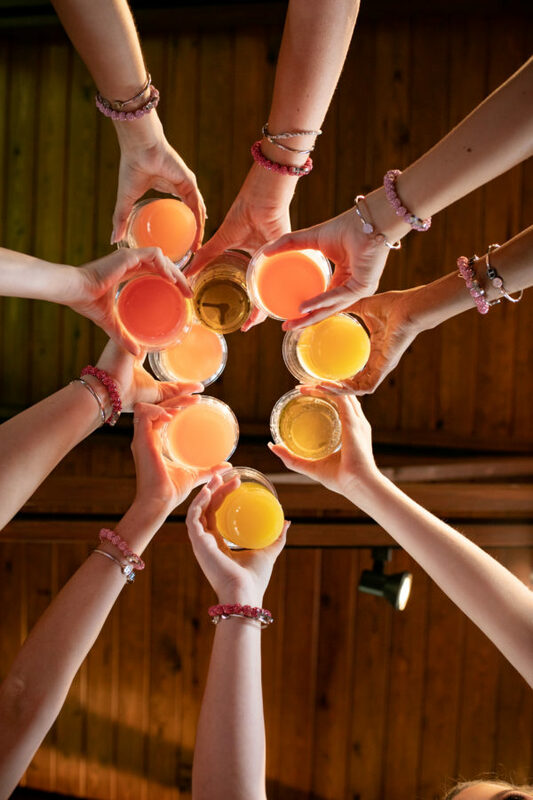 To add a fun touch to the reception, the couple opted for a brunch themed cocktail hour with a Bloody Mary and Mimosa Bar for guests to enjoy and visit with one another while the bride and groom took their couples portraits together. Passed hors d’oeuvres included chicken n’ waffles and bite size quiche’s! The beautiful bride and her maids enjoyed mimosa’s and music while they got ready in the Lodge. This space provided them enough room to get ready and dance around before the bride took her steps down the aisle. Not to mention, the brides beauty team did not disappoint! Beauty Bar Makeup Studio and Candace Peck Hair made these girls look flawless. Last but not least, Katie’s jaw dropping gown from Facchianos Bridal. 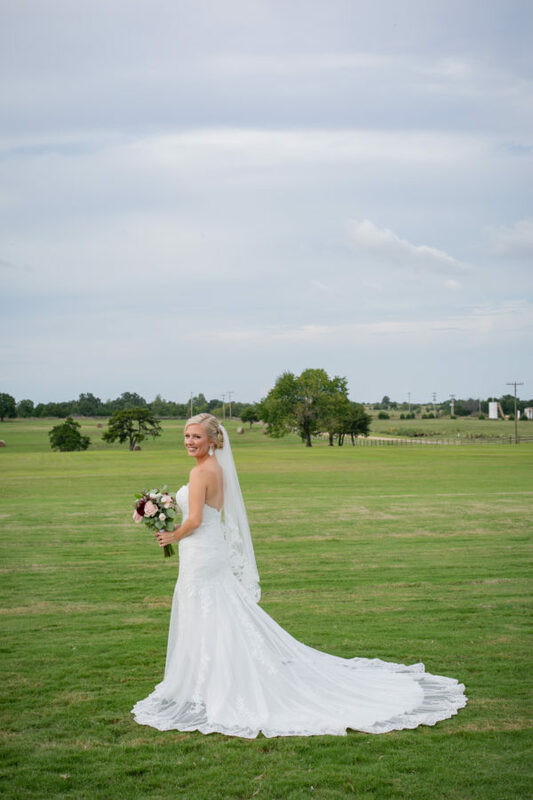 The delicate beading a lace detail along her train looked stunning as she walked down the aisle. 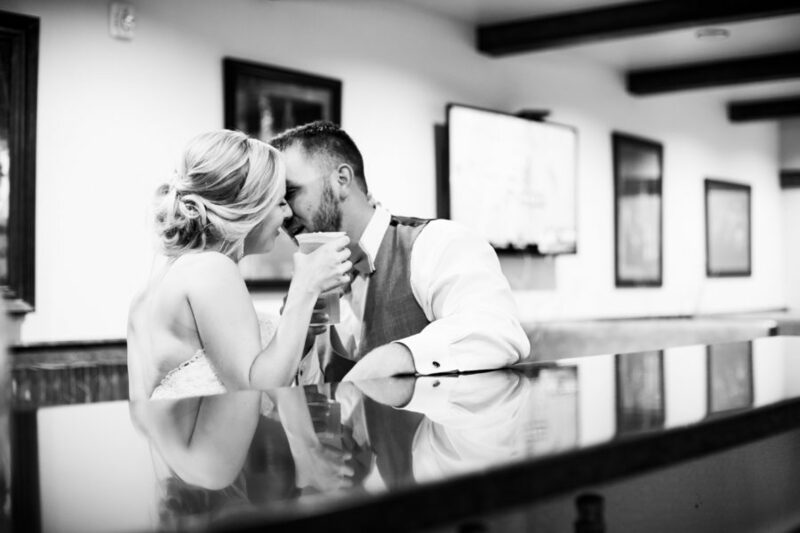 The intimate final moment the couple shared at the bar before their send off is one of our favorites! 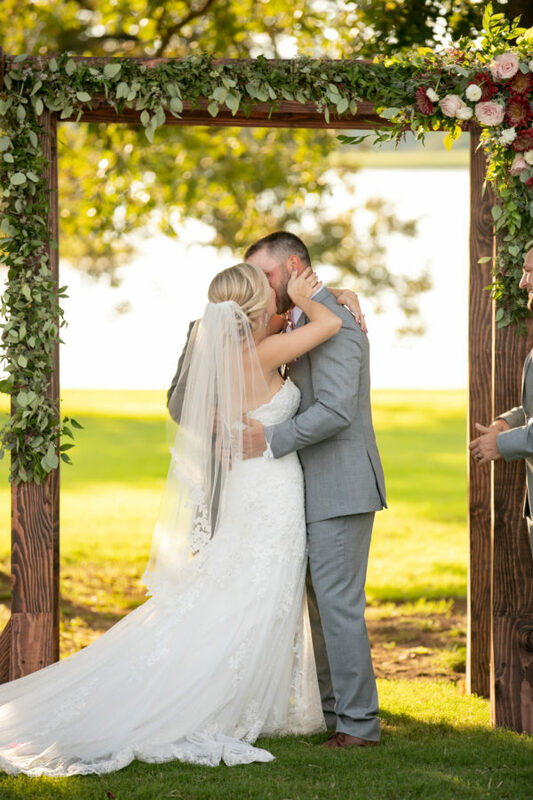 Such a sweet moment Epic Productions captured. 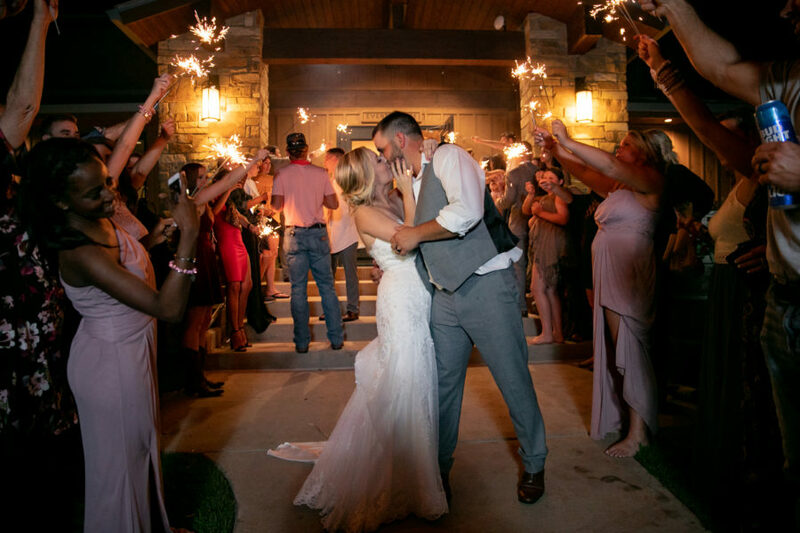 Thank you Casey and Katie for letting Tatanka Ranch host your big day. 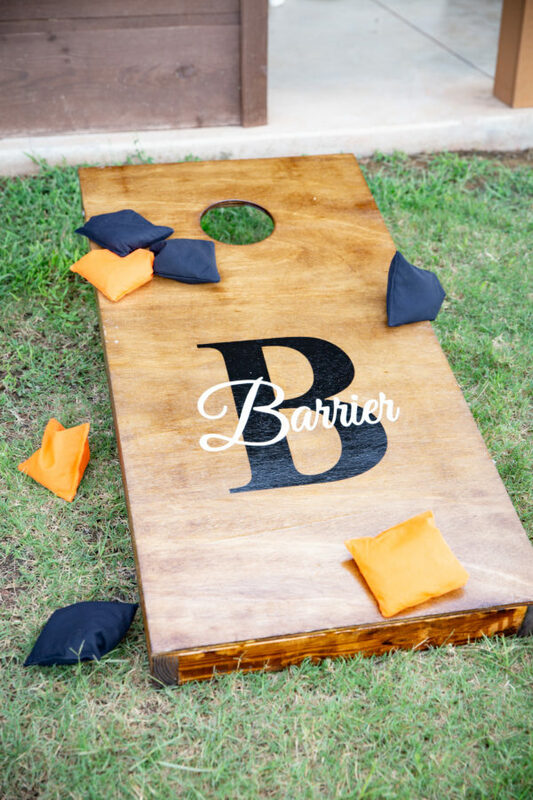 We’re honored to to be apart of these special events for our bride and grooms and their families. Cheers to Mr. & Mrs. Barrier! 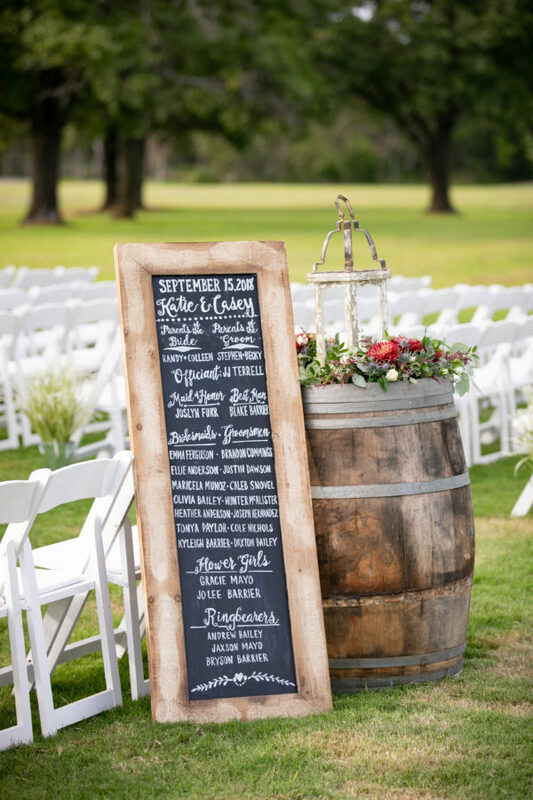 Interested in how you can make your weekend wedding an event you’ll never forget? Contact us today!